Children are a source of joy and amusement at every wedding. 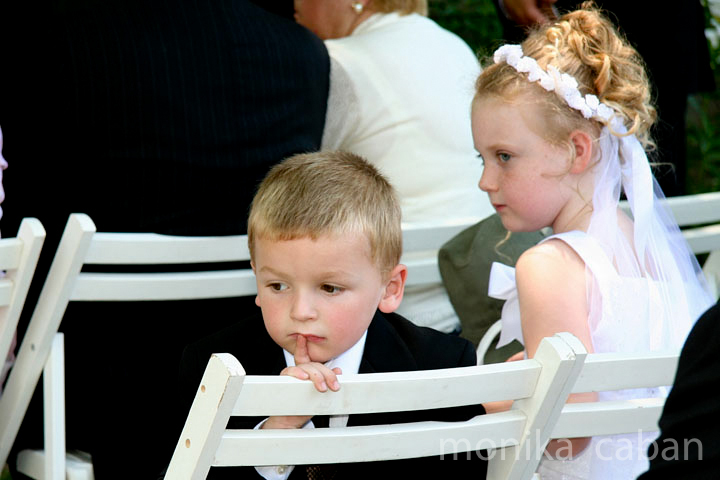 What is this cute ring-bearer thinking about? Contemplating his next move? Or maybe thinking about that blue ice cream he loves so much? Is he thinking about the bright red pickup truck he saw on the way to the wedding? Whatever it is, it is very important.